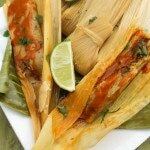 Tacos Rajas Poblanas | Mexican Appetizers and More! 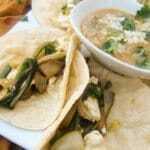 These Tacos Rajas Poblanas recipe is super simple. 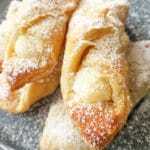 With just 4 ingredients and absolutely delicious! 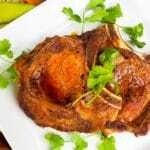 Excellent snack or appetizer and great side dish too! 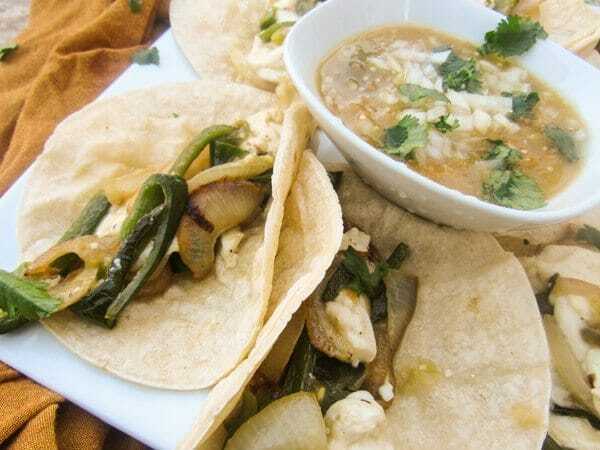 These Tacos Rajas Poblanas (Roasted Poblano Pepper Tacos) are not just for my vegetarian readers but for all my readers! I know I usually start off my posts raving about this and that appetizer of the day but I can’t help myself because they are all delicious! 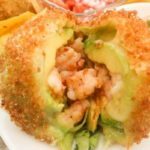 This Mexican Appetizer or Mexican dish is just so simple to make and taste so good! Yes, absolutely delicious! With just three ingredients and some corn tortillas, you too can whip these at home, one, two, three! A quick, simple Mexican Appetizer that tastes just as gratifying and fulfilling as any beef, chicken, fish tacos out there! Don’t let the fact that it’s just three ingredients in these Tacos Rajas Poblanas sway you away from making these at home. I promise you, you will not be disappointed and actually surprised that something so simple is so good. 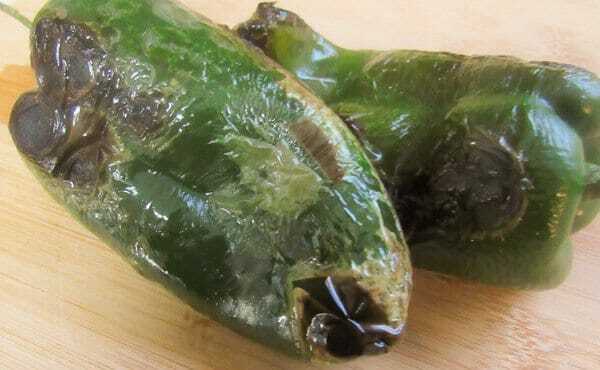 Let’s talk a little about Poblano Peppers so you feel a little bit in tune and connected with them before you even prepare them. Poblano Peppers originated from Puebla, Mexico and are considered a mild chile pepper. Only 1000 to 2000 on the Scoville Heat Unit Scale. While the jalapeño pepper is 2500-5000 SHU and the habanero pepper which is very hot is at 100,000-350,000. 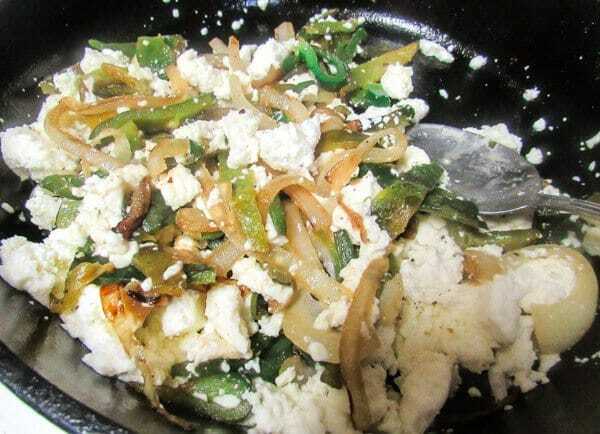 So you see for my foodie readers that do not really enjoy too much heat in their food, there is nothing to fear here with these Tacos Rajas Poblanas. However, for those of you that do enjoy a nice heat factor with your tacos, make Habanero Tomatillo Salsa or Salsa Verde (recipe is for my Cheesy Chicken Poblano Panecillos but includes how to make salsa verde) to accompany these scrumptious tacos. In Mexico, people eat these Tacos Rajas Poblanas (Roasted Poblano Pepper Tacos) by themselves or as a side dish with rice and refried beans. YUM! I’m excited my friends, excited for you to try these Vegetarian Tacos made for all meat lovers alike! Tip: How to grow poblano peppers. Please don’t forget to leave me your comments below! Poblano Peppers before roasting (can also roast over an open flame). Once peppers are done roasting. 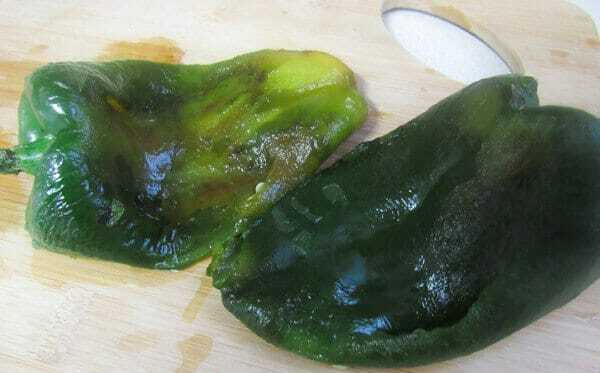 After poblano peppers have sweated and skin has been peeled under cold water. 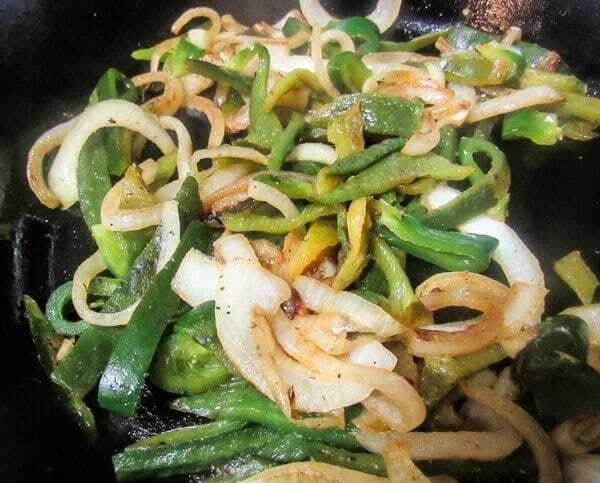 Poblano Pepper strips (Rajas) with sliced onions. Poblano Pepper strips, onion and cotija cheese. 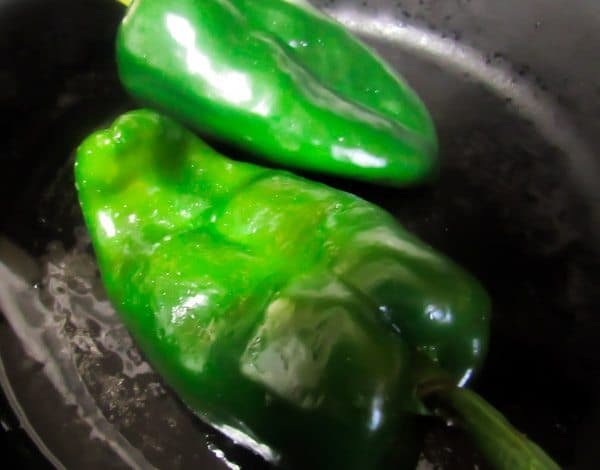 Rinse poblano peppers. Add 1 tablespoon of oil to a cast iron pan or regular pan. Roast peppers until charred on all sides and soft. Let sweat for a few minutes by letting them sit or place in a zip lock bag. Remove skin with fingers (easier for me when I do it under running water). Remove stems and cut open to remove seeds. 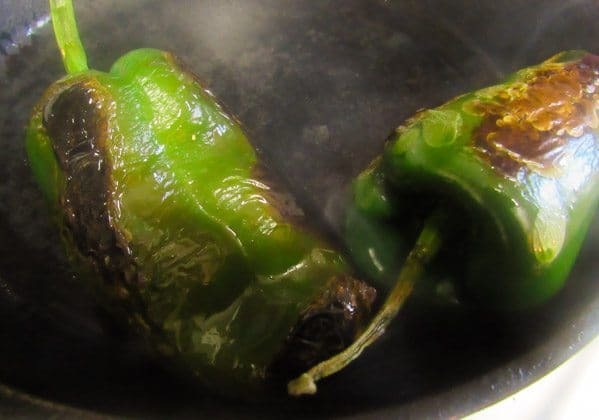 Rinse peppers under cold water. Cut poblano peppers into strips and then in half. Thinly slice onion and then cut into half moons. Cook peppers and onions until tender. Break cheese apart with your fingers and add to pan until slightly melted. 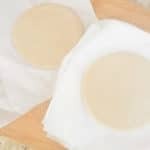 Heat tortillas in a pan or microwave for a few seconds to soften. Divide mixture onto tortillas and add habanero tomatillo salsa, salsa verde or hot sauce of your choice. Enjoy!